Grab Some Fifth Doctor Bargains From Big Finish! | Warped Factor - Words in the Key of Geek. Grab Some Fifth Doctor Bargains From Big Finish! The man behind the Fifth Doctor is celebrating soon! To mark the event, Big Finish have discounted a few of Peter Davison's best titles for this weekend only! Since joining Big Finish for their first adventure in the TARDIS in Doctor Who: The Sirens of Time, Peter Davison has continued his travels with friends both new and well-known and faced the Universe's greatest threats – including a showdown with the Master in this month's Doctor Who: And You Will Obey Me! This weekend, Big Finish are marking Peter's upcoming birthday (April 13th) with special offers on nine favourite Fifth Doctor titles – including the award-winning Doctor Who: The Fifth Doctor Box Set, available to buy and download for just £20 this weekend. Containing the stories Psychodrome by Jonathan Morris and Iterations of I by John Dorney, the set features Peter alongside a trio of his companions - Adric (Matthew Waterhouse), Nyssa (Sarah Sutton) and Tegan (Janet Fielding) - in adventures set near the beginning of the Fifth Doctor's era. You can read our review of The Fifth Doctor Box Set here, and then click here to get your copy, available to enjoy from the moment of purchase thanks to the complimentary digital download included with the majority of Big Finish CD orders – meaning you don't need to wait to listen! Further along the Doctor's timeline, an evening of terrifying stories awaits Nyssa in Doctor Who: 1001 Nights – featuring four Arabian Nights-themed tales for the travellers. 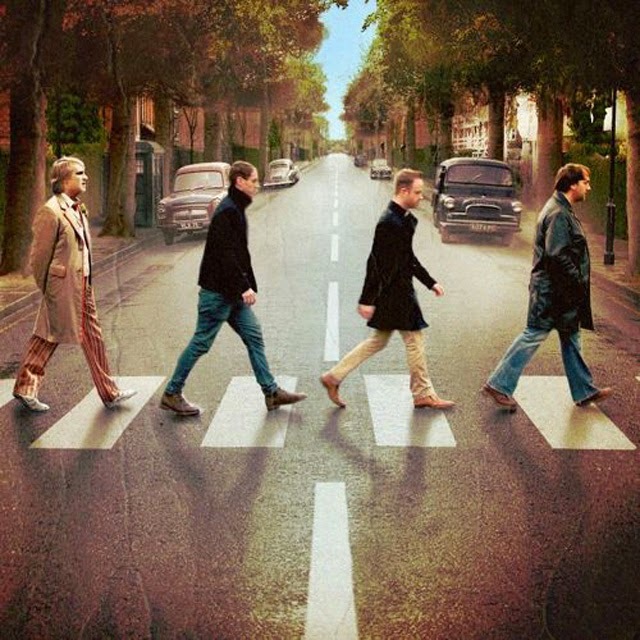 Then it's off to the 1960's to solve a mystery involving the UK's most influential and iconic band; those cheeky lads from Liverpool, The Common Men in Doctor Who – 1963: Fanfare for the Common Men! Joins us in with a rousing chorus of We All Live In A Police Box Time Machine as we look at that 50th Anniversary release. Two triumphant trilogies are on offer next, where the Doctor and Tegan are joined by Turlough (Mark Strickson) and a newly rejuvenated Nyssa. Doctor Who: The Emerald Tiger takes our heroes to the jungles of Calcutta, where a legendary treasure leads to an alien secret. Doctor Who: The Jupiter Conjunction finds the Solar System's cheapest source of space freight leading the Doctor and Turlough into the path of dangerous men. 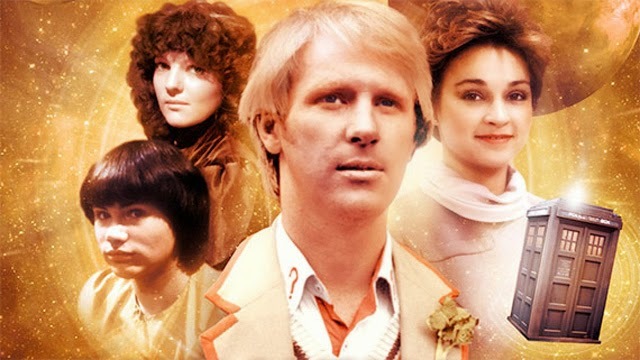 And a terrifying future is visited in Doctor Who: The Butcher of Brisbane, where Tegan flees from Mr Sin and Nyssa finds herself with a new husband – Magnus Greel! Another old enemy returns to haunt the travellers in Doctor Who: Eldrad Must Die! with the resurrection of the infamous Kastrian warlord! More warriors are found at the University of Frodsham in Doctor Who: The Lady of Mercia, while Nyssa returns to her family in Doctor Who: Prisoners of Fate – in which the Doctor's own past is about to catch up with him! All the double-disc releases can be yours for just £5 each on both CD and download this weekend. You can also pick up our entire selection of special offers at once with the Doctor Who – Peter Davison 2016 Birthday Bundle; just £60 on both CD and download, with free postage for UK customers! These special offers are available until noon Monday April 11th (UK time) so head to the Big Finish website and order now!